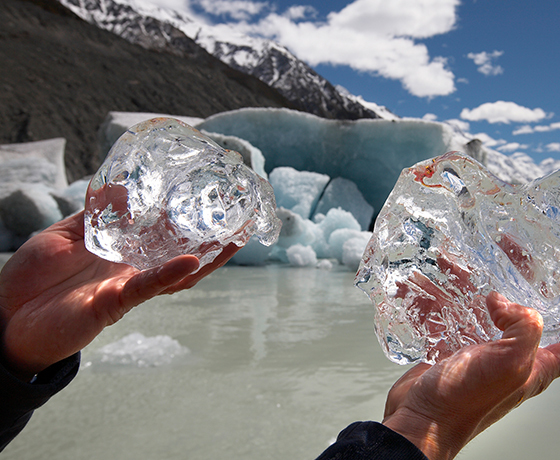 Visit New Zealand’s Tasman Glacier terminal lake for a fascinating glacial encounter. 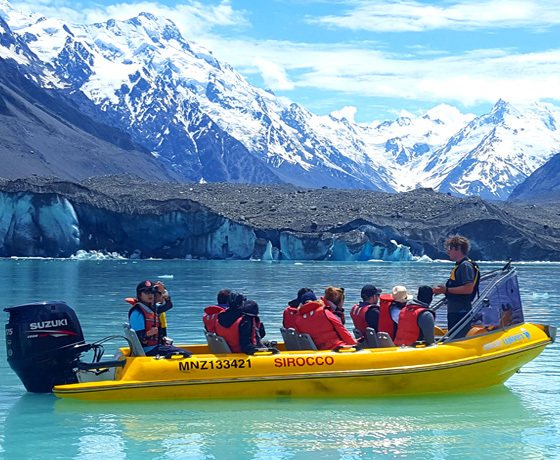 Take a 30 minute walk through the moraine, board the Glacier Explorers custom built MAC boats to experience the Tasman Glacier, its rapidly growing terminal lake and spectacular mountain views. Icebergs of every shape and size periodically tear away from the glacier allowing you to touch and taste the 300-600 year old glacial crystals. Glacier Explorers is undeniably unique. By keeping groups small, a personal rapport develops between customers and guides. 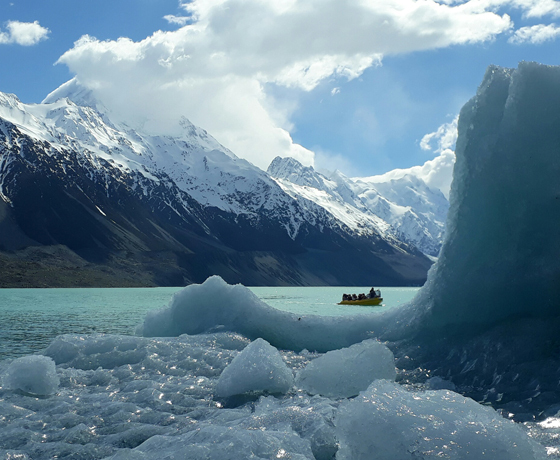 Guides give an in-depth interpretation of glaciation, terminal lake formation, plate tectonics and a brief coverage of local and climbing history, flora and fauna, leaving you with not just an insight into the Tasman Glacier but to the creation of New Zealand. 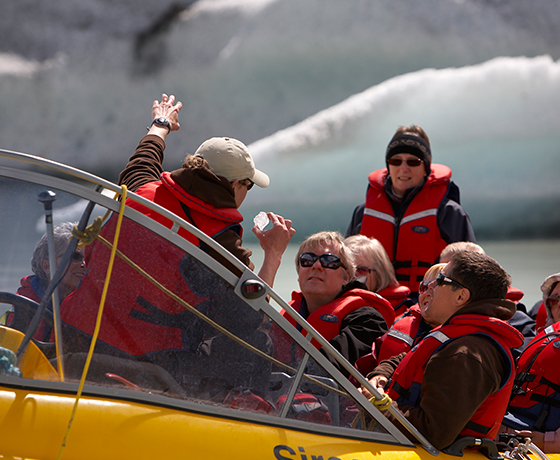 Safety is the first and foremost consideration, Glacier Explorers guides are extensively trained and operate to the highest safety standards at all times. Season: Early September to late May. How to find Glacier Explorers? Trips depart from outside The Hermitage Hotel on Terrace Road, Aoraki/Mount Cook Village. Check-in 30 minutes prior to departure at the Activities Desk, located in the hotel lobby.